Don’t stop gardening when the temperature drops! Here are 8 gorgeous cool-weather plants that don’t mind a little chill in the air. The beauty of a frosty spring or fall morning is something to relish. Most gardeners don’t really design for it, but why not? There are plenty of cool-weather plants that not only tolerate a bit of frost, but are enhanced by it! You can set them out in spring or fall and in some climates, even watch them bloom through winter. Here are eight plants that thrive in cool weather. Many of the flowers are available in a variety of colors, so you have a lot of options if you are looking for a particular color. Browse the tables at your garden center or peruse your favorite mail-order nursery’s offerings to find the one that’s just right for your garden. 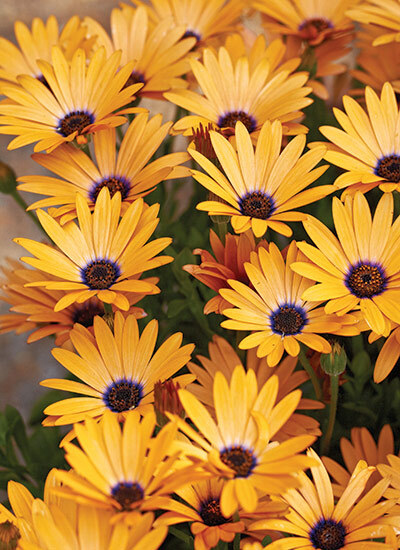 As Bellissima English daisy blooms and matures, its narrow petals multiply inward until the bright yellow centers are hardly visible. Simply make sure plants have some shade, even if it’s from nearby perennials, and stay well-watered. 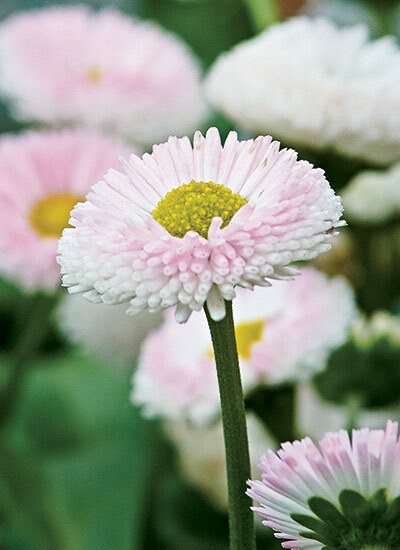 A short-lived perennial, English daisy thrives in early spring or fall, but treat it as a winter annual where summers are hot. The lush flowers are beautiful, but this tender perennial also offers a rich, spicy scent that’s a joy to have around. Pinch back the growing tips before they bud out for fuller plants. 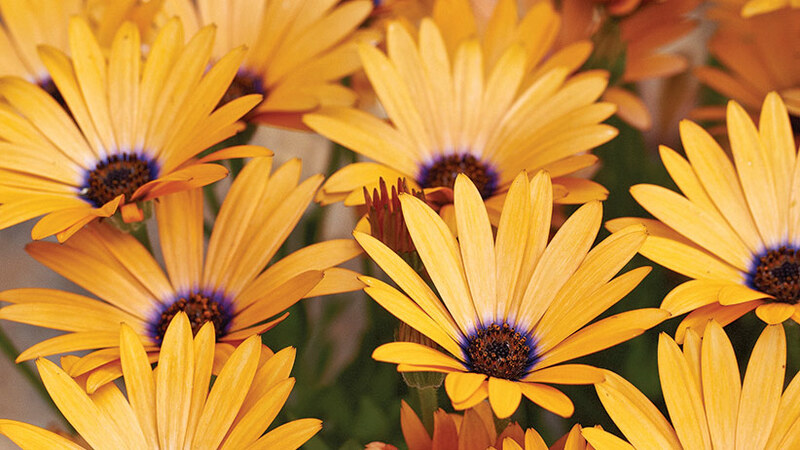 These charming daisylike flowers are white, purple, yellow, orange, rose or bronze, and many varieties have a contrasting center. ‘Orange Symphony’ is a great example, with its striking purple and orange combo. There are endless options of this fragrant flower. Erect varieties, like ones in the Serengeti Upright series, make excellent filler plants in containers. 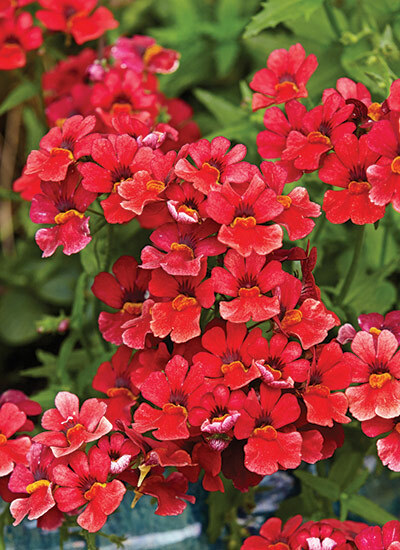 In hanging baskets, trailing nemesia, like the Sunsatia varieties, are close to nose level so you can get a better whiff. Fragrance ranges from sweet to spicy clove. 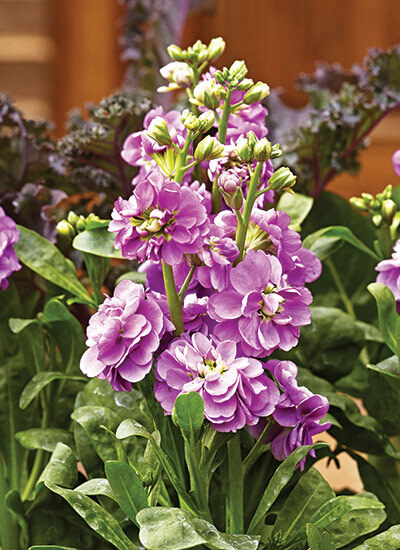 A self-cleaning plant, nemesia’s spent blossoms fall off without any help from you. This delicate-looking annual is also sometimes called “miniature snapdragon.” Flowers can withstand temperatures below 30 degrees F and continue blooming. Whatever your color scheme, you’ll probably find a toadflax to fit. 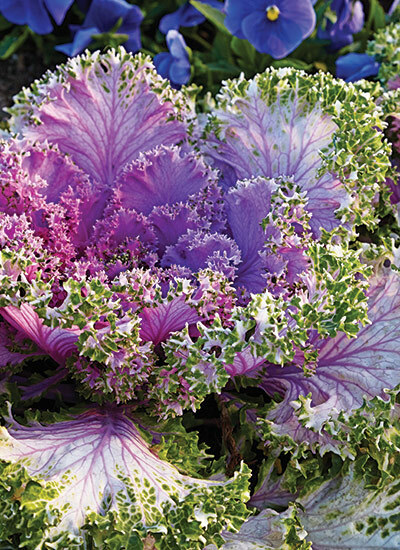 As the temperature turns colder, the foliage colors of flowering kale change. You’ll often notice brighter pinks and purples in the heart of the rosette. And white varieties look even frostier as the temperature goes down. 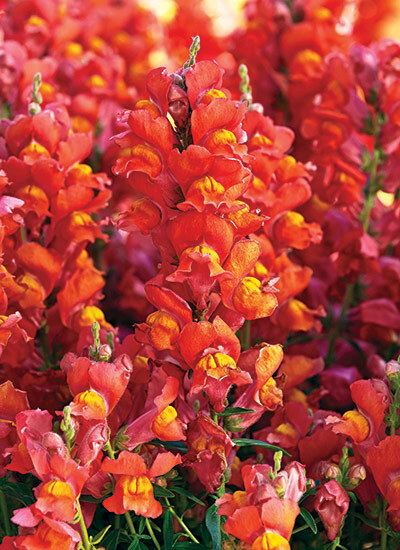 Snapdragon hybrids range from ground-hugging trailers to those that tower to a few feet or more! Snapshot Orange, here, grows 6 to 10 in. tall. 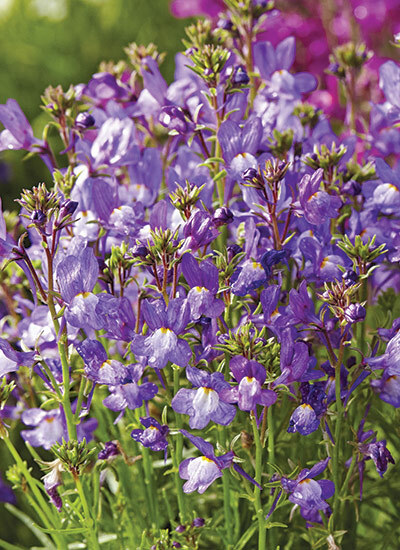 This versatile annual is at home in a flower bed, vegetable row or herb garden. Be sure to deadhead plants regularly to keep the flowers coming. 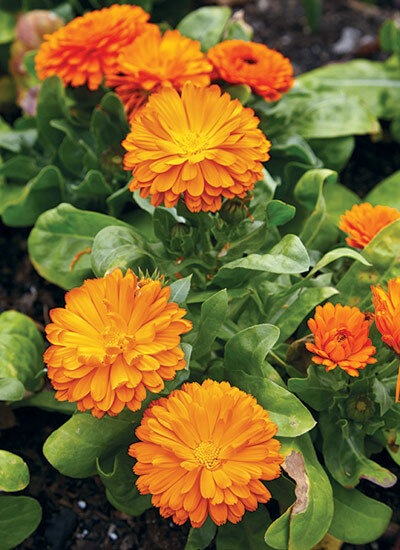 ‘Bon Bon Orange’, here, has large flowers on compact 12-in.-tall plants. Sow seeds directly in the ground once the soil has warmed in spring or start plants earlier indoors and transplant outside.